First of all many thanks to Colin for keeping this website going over the past few days. I've been on a Ribble Vehicle Preservation Trust visit based in Norwich where we have travelled around the area, visiting various transport related events and museums. 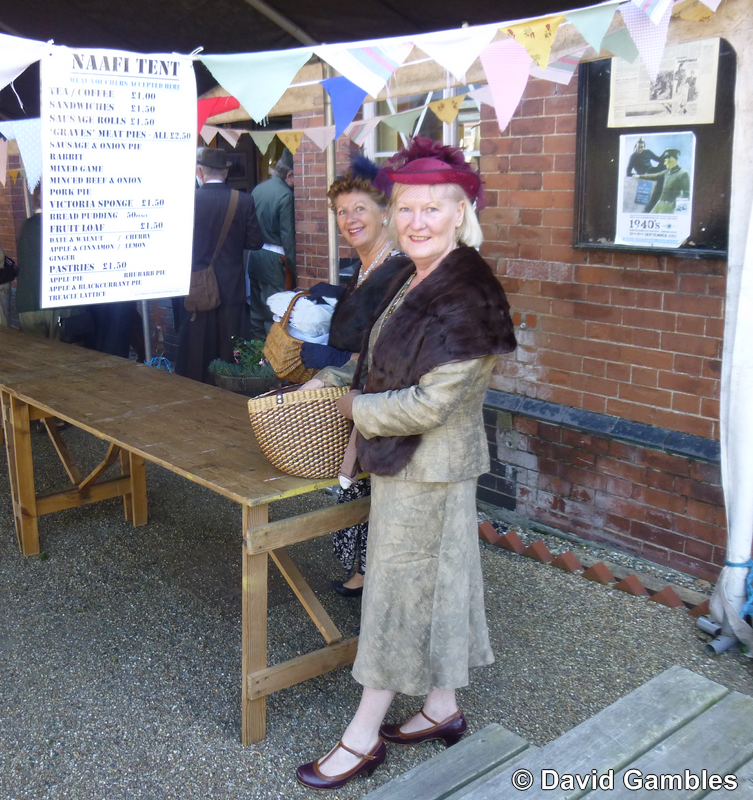 The highlight for me was the Saturday visit to Sherringham where a 1940's weekend was taking place in conjunction with the North Norfolk Railway. The whole town seemed to have thrown themselves into the event with people dressed in 1940's clothes outnumbering those that weren't. Steam trains were in service every thirty minutes between Sherringham and Holt and the trains were simply packed. Fortunately a free classic bus service was in operation between the two towns which helped carry the vast numbers of people wanting to travel. I said goodbye to the RVPT members this morning, as they departed on their long journey from Norwich to Freckleton and I'm now speeding towards London by train, to spend a few days observing the transport scene in our capital city. My previous visit in February was to coincide with the introduction of the New Bus for London, which, unfortunately wasn't launched when it should have been and I never got to travel on the vehicle. Now I'm hoping to put that right by travelling on one of the examples in service. Ironically I climbed aboard one at Showbus yesterday which had travelled to Duxford for the event. It wasn't operating however so I will hopefully have my first trip within the next few days. In the meantime thanks again to Colin who will be keeping things running until Thursday at the least!